Kris has recently joined the Saxophilia Saxophone Quartet playing Alto Saxophone in the group. The ensemble also features Julia Nolan (Soprano Saxophone), David Branter (Tenor Saxophone) and Colin Macdonald (Baritone Saxophone). The quartet regularly performs in Vancouver, most recently at the Capilano Classics Concert Series. The quartet is currently preparing to perform in Edmonton for the 2017 North American Saxophone Alliance conference in February. 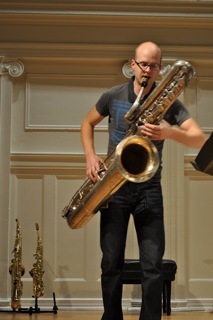 See the Saxophilia Saxophone Quartet’s website here for more information. Kris is a founding member of “Just the Funk”, a 10-piece cover band dedicated to “funky” tunes primarily from the “Motown” genre of music. The band is a dance band, and has lots of other “top 40” hits in its set list. Just the Funk performs regularly around Vancouver. It is available for hire for corporate or wedding gigs. Check out the band’s facebook page by clicking here. Kris is currently the Musical Director of the Vancouver Fire & Rescue Services Band, a 40-piece band, which is the official band of the City of Vancouver. The band is made up of active-duty and retired firefighters, as well as some civilians, from all over metro Vancouver. Kris leads the band at formal and community events around the lower mainland, including at the Remembrance Day ceremony at Victory Square in downtown Vancouver. For more information about the band, please click here. 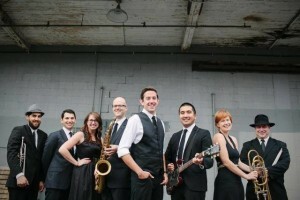 Kris is currently the Musical Director and Leader of the Milleraires Big Band, a 17-piece band based in North Vancouver. The group performs well-known classics from the 1940s and 1950s, including dance favourites in the styles of polkas, fox trots, waltzes, and swing. The Milleraires Big Band plays several large dance events a year, and is available for hire for events. Contact Kris for more information. Kris is currently the Managing Director of the Network Ensemble, a new music ensemble made up of premier contemporary musicians from Vancouver. 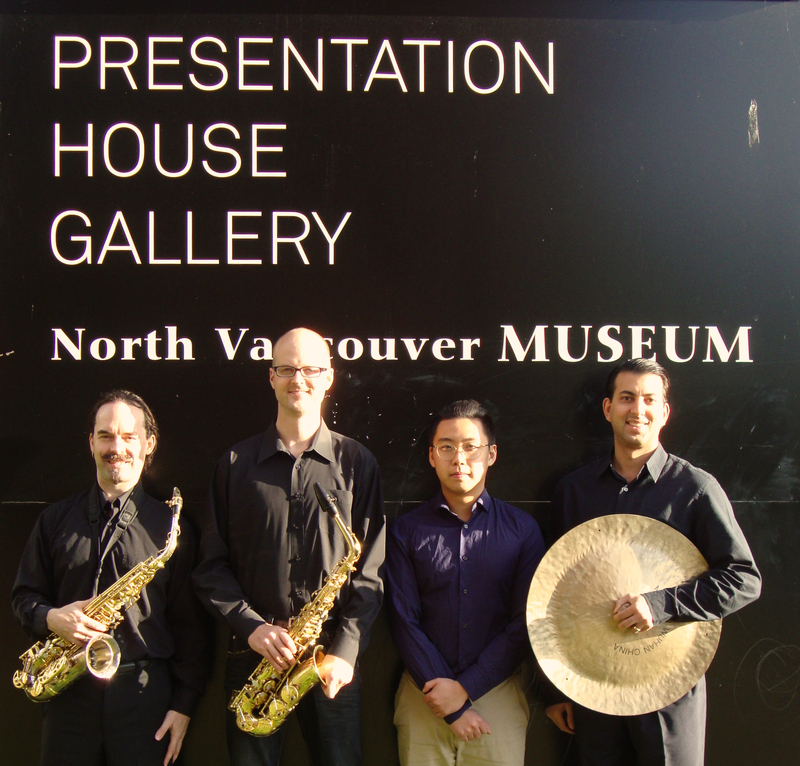 The ensemble recently held their debut concert at Presentation House in North Vancouver, supported in part by the BC Arts Council. The ensemble premiered several new commissions from Canadian composers. Kris leads a jazz quartet of talented Vancouver-based musicians. The Quartet was featured at the 2013 Kiwanis Music Festival, hosted at Capilano University. The Quartet regularly performs around Vancouver, and has provided background music and feature music for several events. Contact Kris for more information about the group.